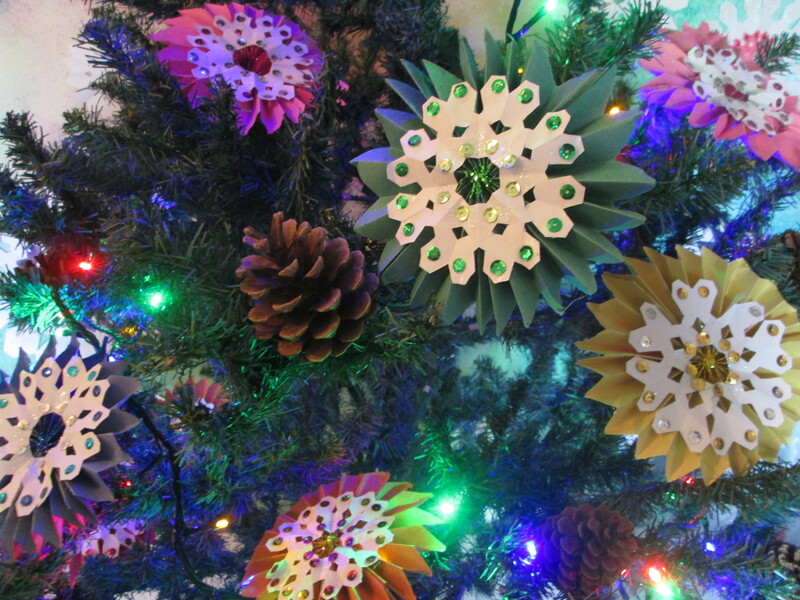 Pack of construction paper, one sheet of A4 makes one tree decoration. 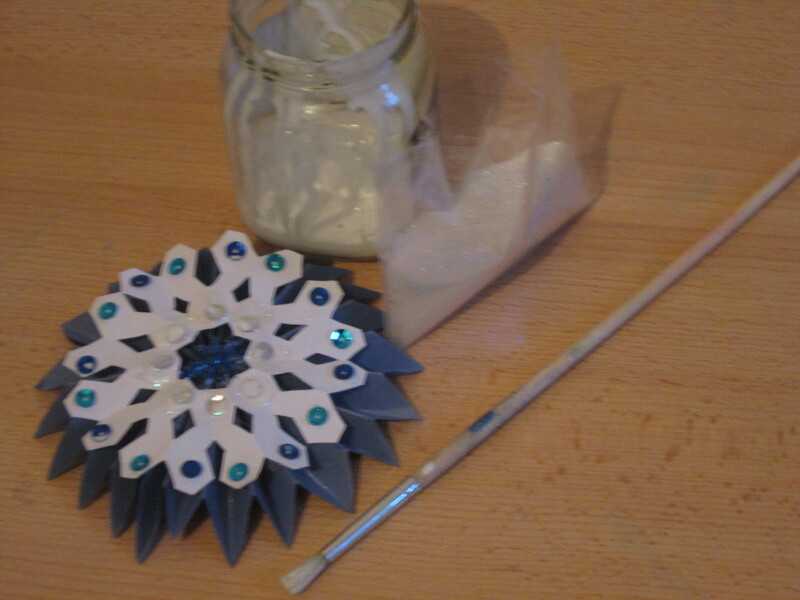 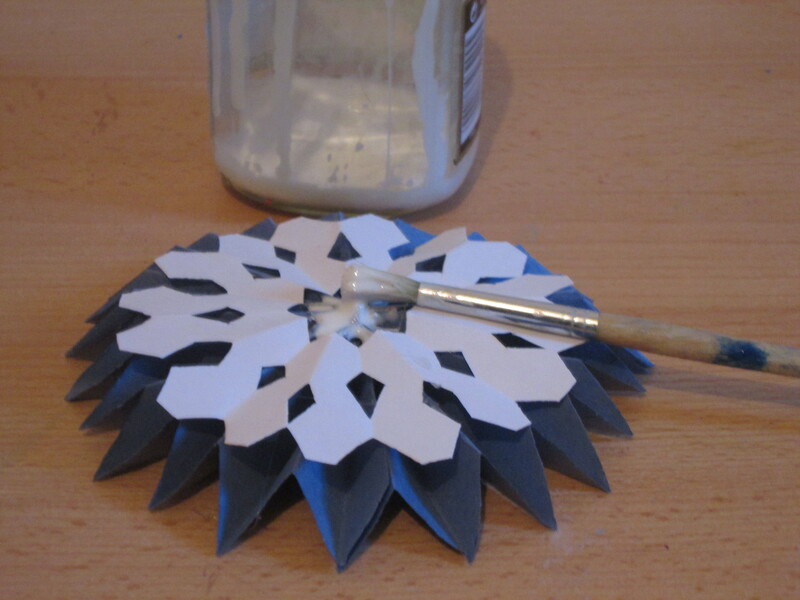 A4 white paper for wall snowflakes, amount as desired, one sheet per snowflake & enough sheets for your tree snowflakes you get 4 per sheet. 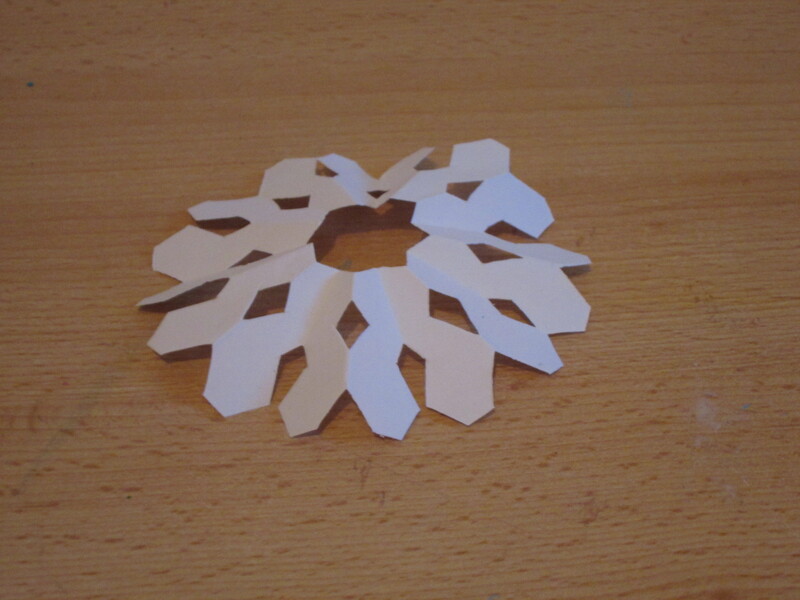 A2 white paper or 4 sheets of A4 stuck together to make one large snow fake, amounts as desired. 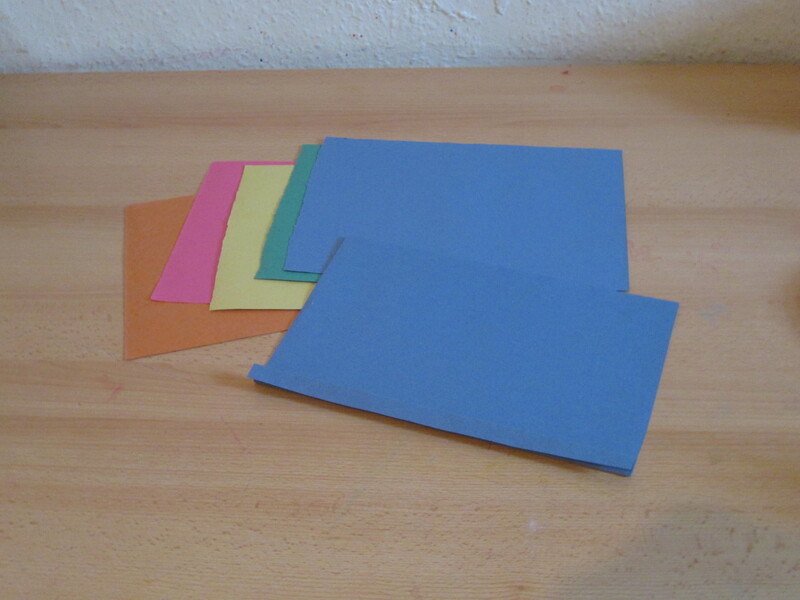 Chouse a array of coloured paper, I used construction paper, one sheet is one decoration. 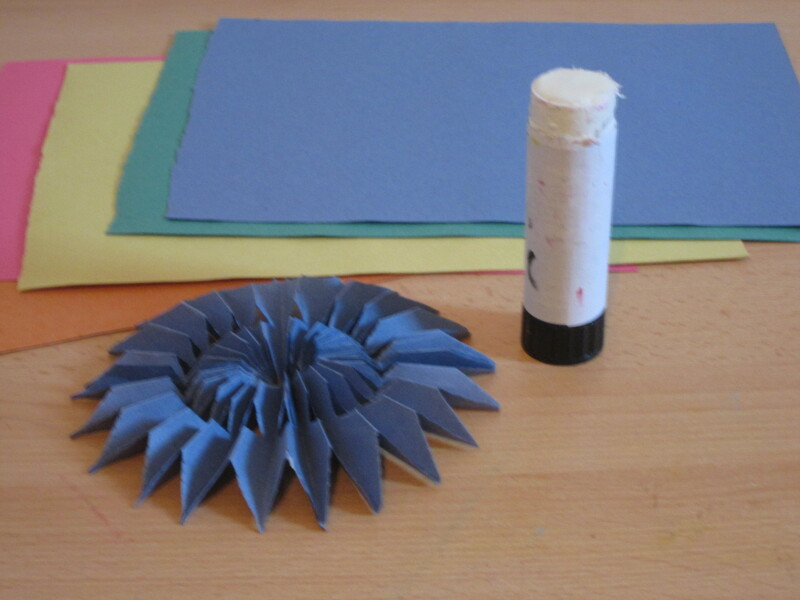 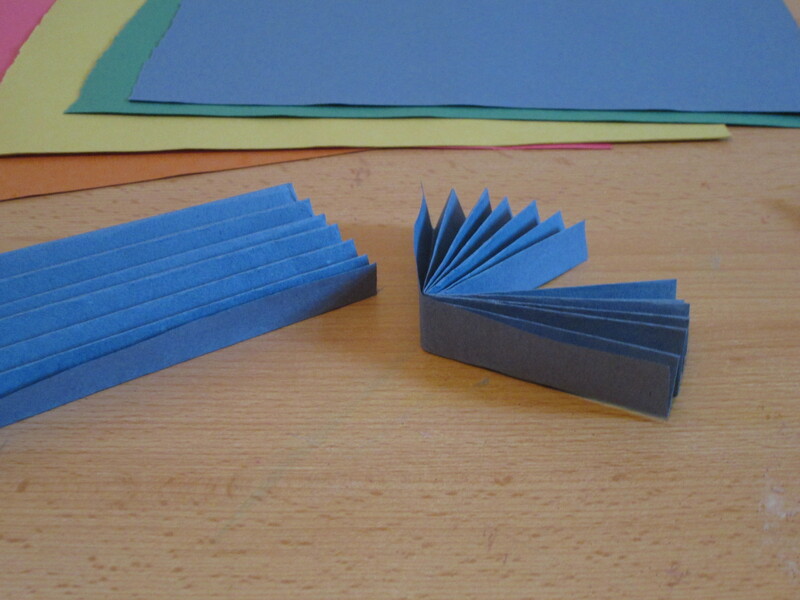 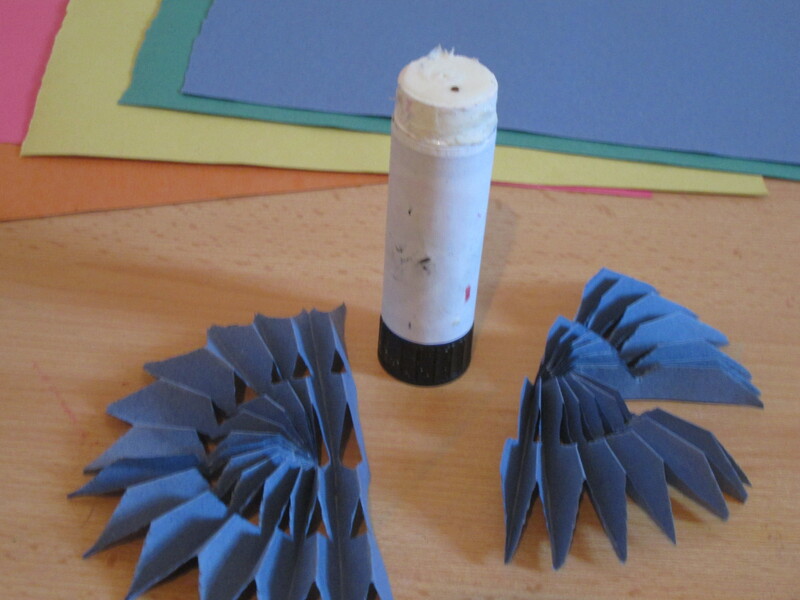 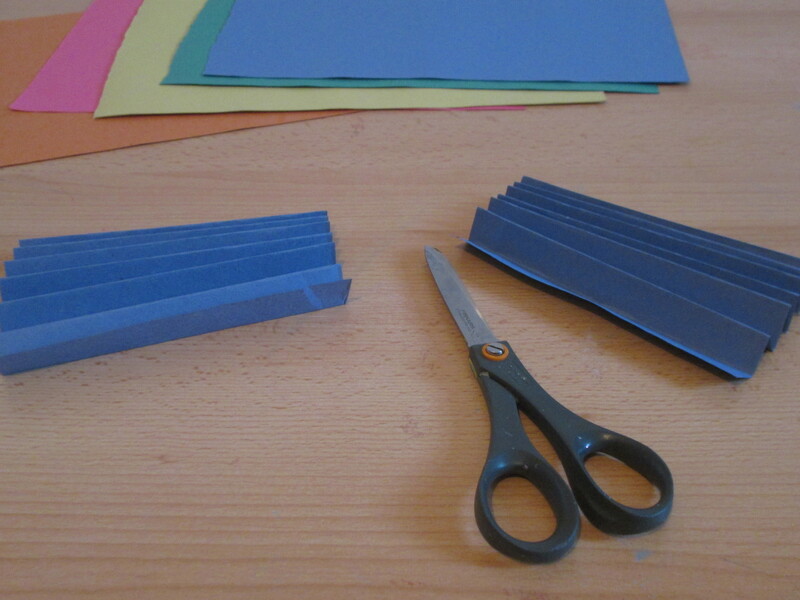 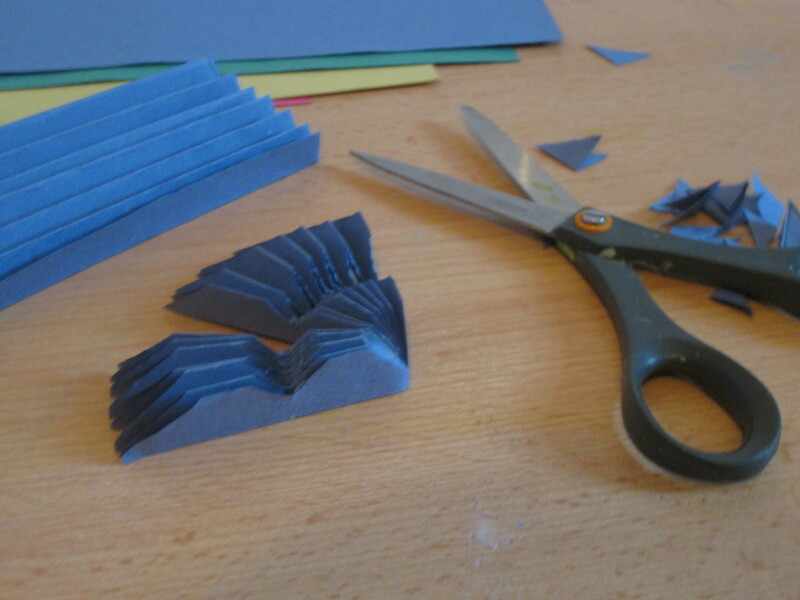 Fold each A4 coloured construction paper as above about 1 cm thick, on the length & cut in half. 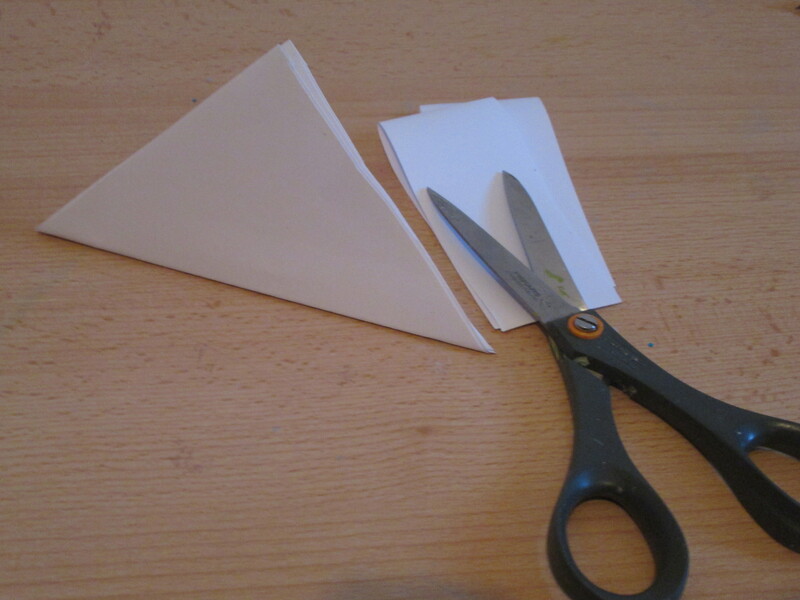 Now cut the middle as shown and make sure the cut in the middle leaves a join! 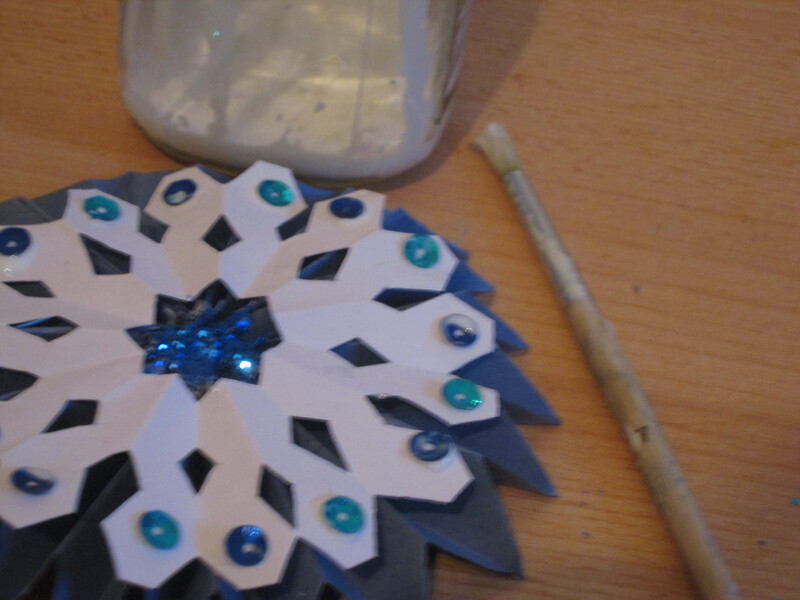 Glue the middles together on each one. 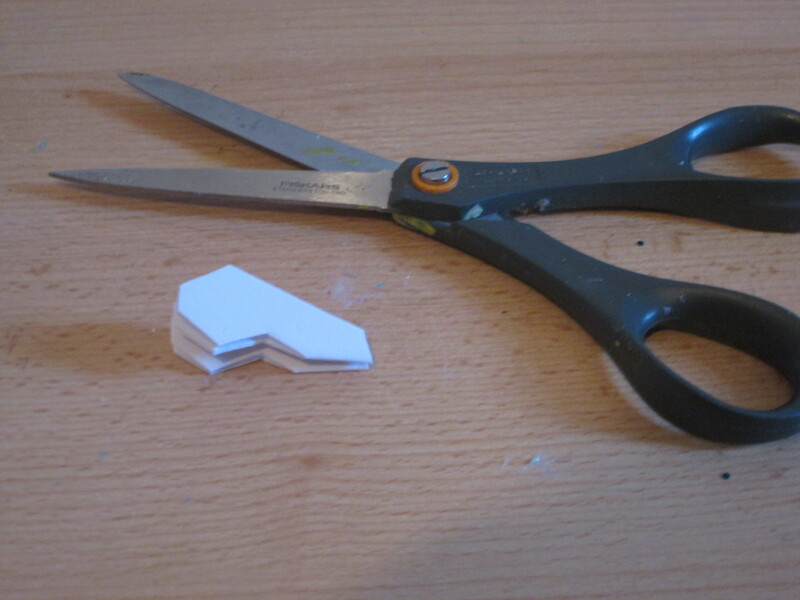 Then glue both halves together. 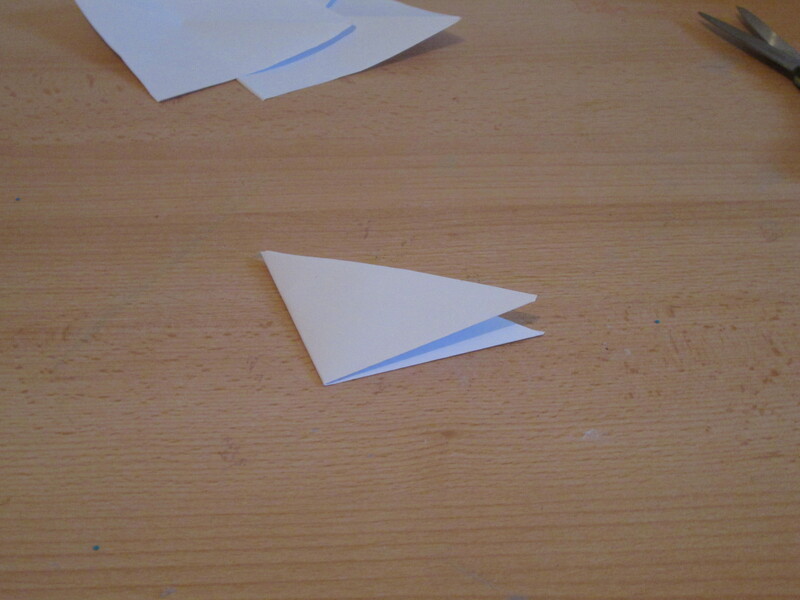 Fold the left bottom corner of the A4 white paper when landscape, over to the top edge. 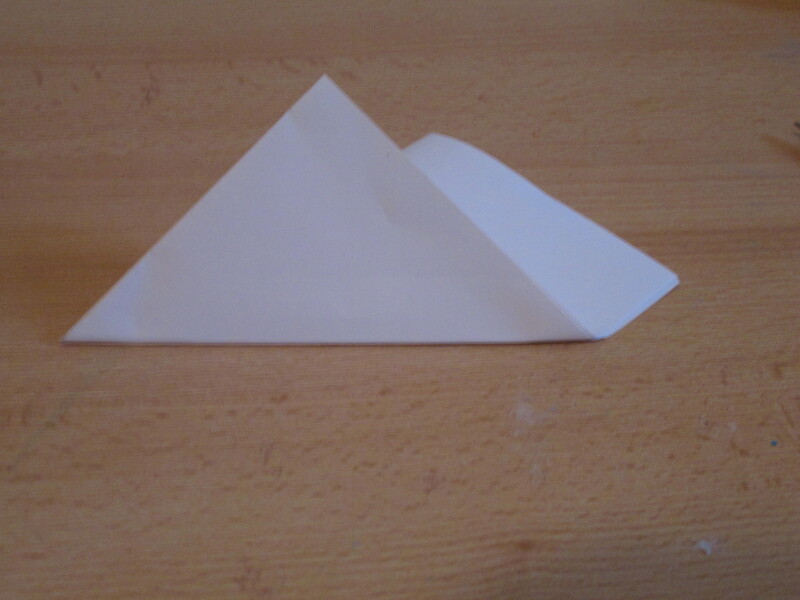 To make a triangle fold as above. 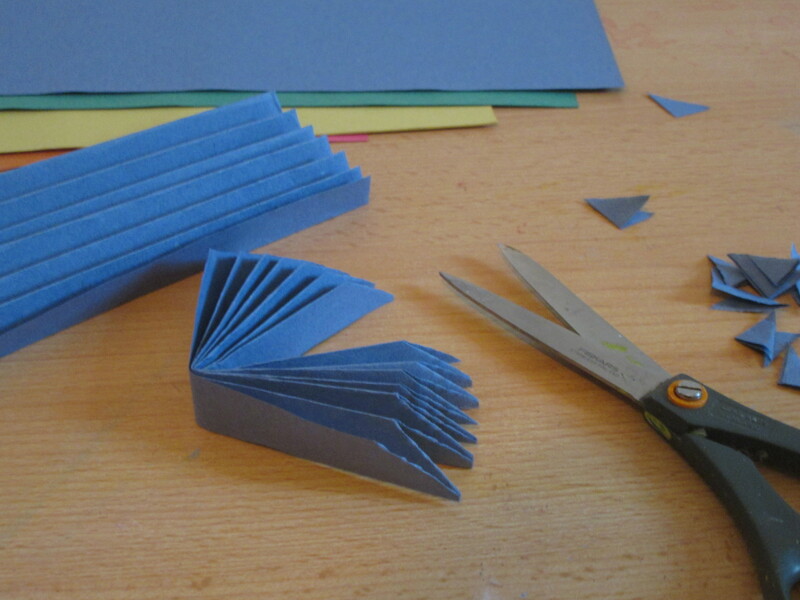 Then fold bottom left corner to the bottom right of the corner and Cut of the edge. 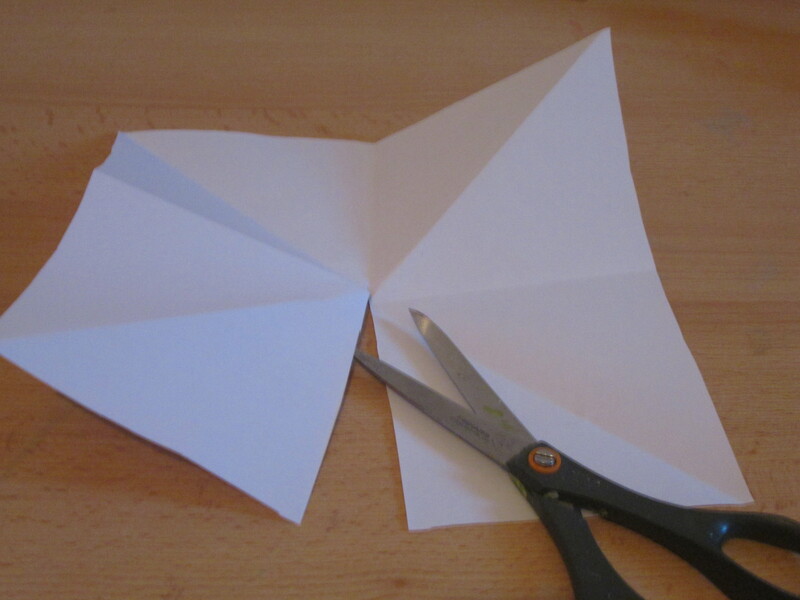 Then open up and using creases cut in to four squares. 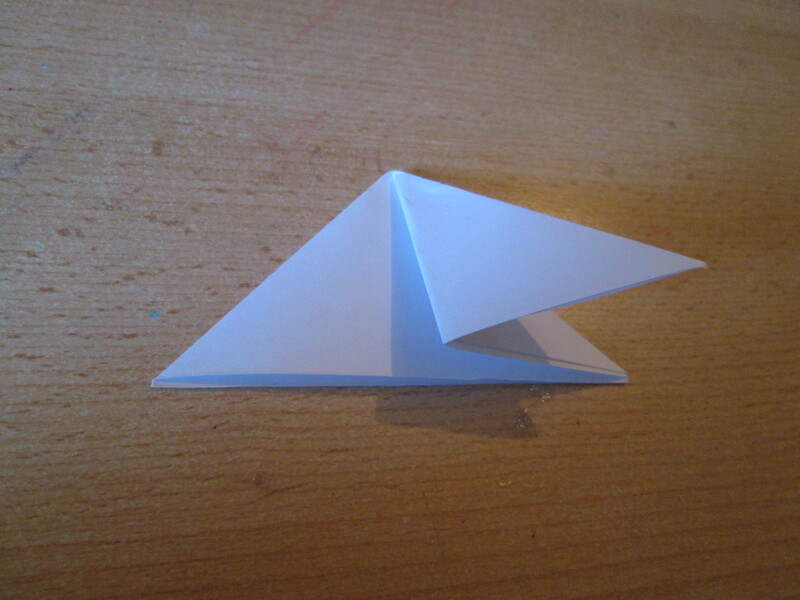 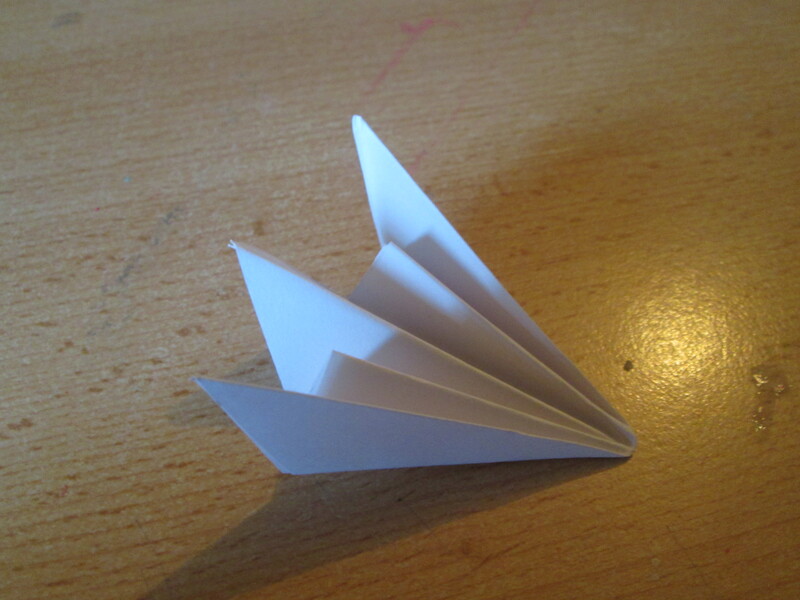 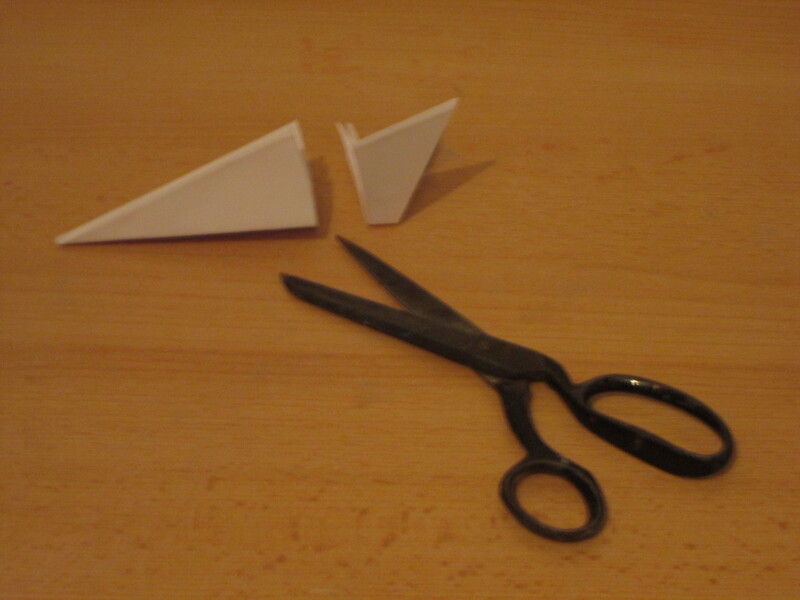 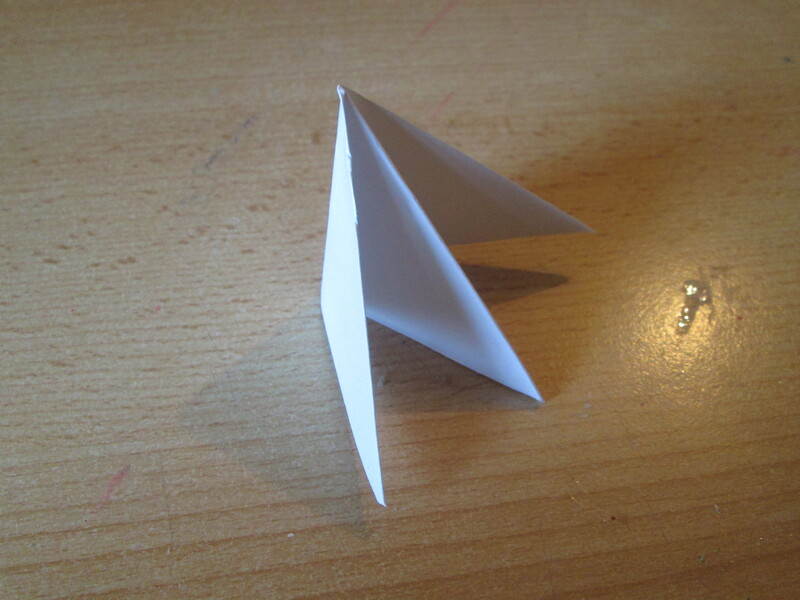 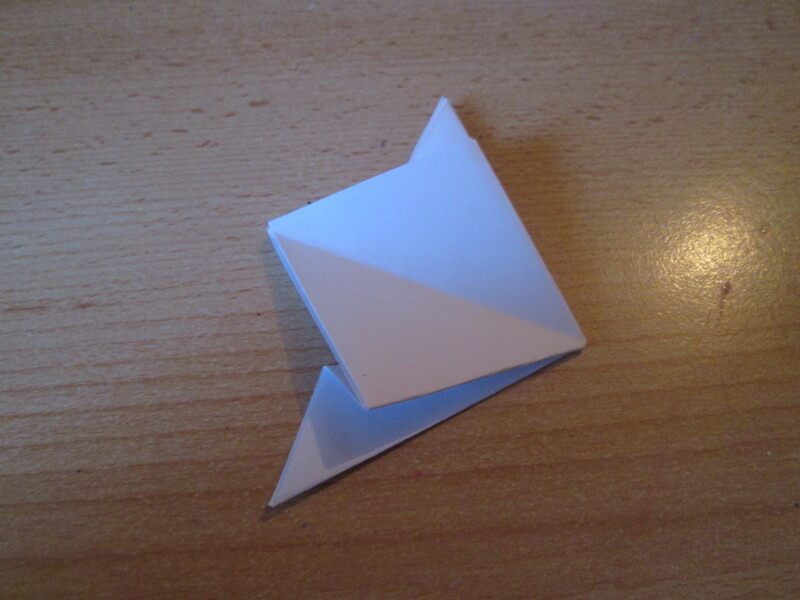 Now take one square and fold into a triangle with the fold that is there and fold again to make a smaller triangle. 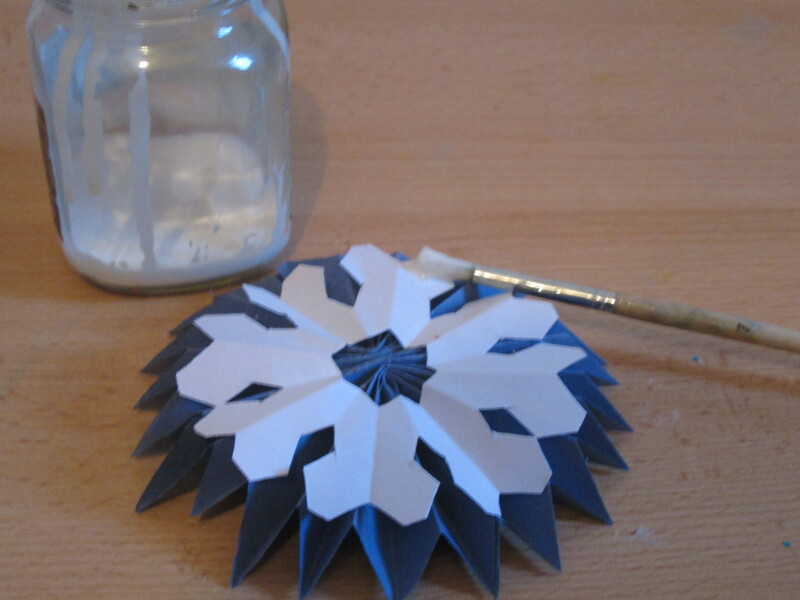 So when you pone it up you have a snowflake. 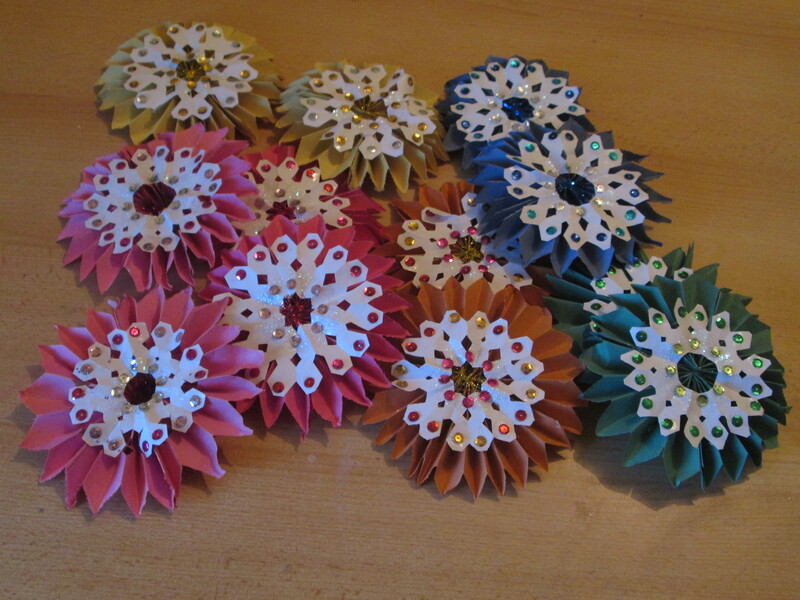 Add sequins where desired and colour choice. 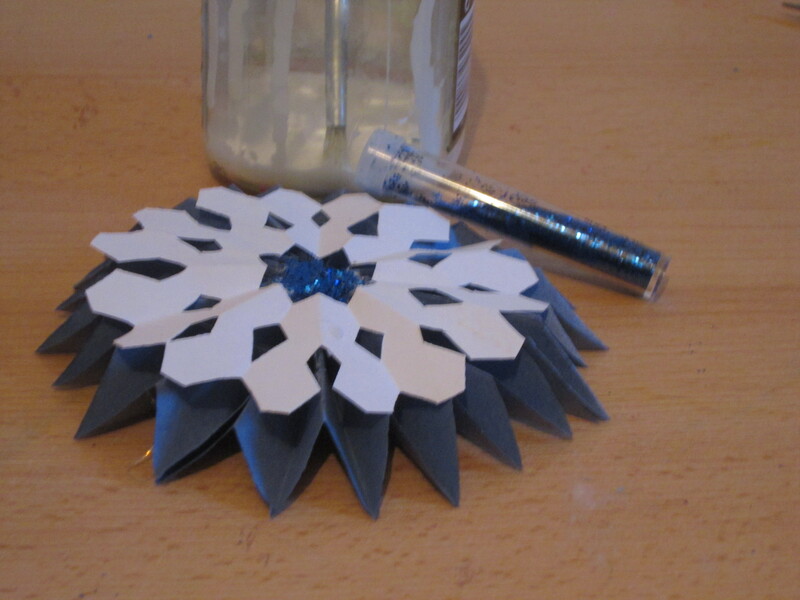 Make desired amount & let it snow.